“Do I need to file the Will?” This is an interesting question I get all the time. Typically, the person will tell me they are the surviving spouse and everything is passing to them. Other times, it may be an adult child who tells me that mom or dad had very little or that everything they had fell outside of the probate process. But, the answer to the question is always “yes” because, in Georgia, it is a crime to have or know where the Will is located and not file it with the Court upon the passing of the person. In Georgia, the law permits a Probate Judge to issue sanctions of fines and jail time if the Will is not delivered to the Court. It is classified as a misdemeanor with a fine up to $500 and a jail sentence not to exceed 20 days. That’s reason enough to file the Will. But, there’s even more reasons. You cannot just assume that assets that are owned jointly are not part of the person’s estate. The reason for this is because there are different types of joint ownership. Some types pass outside of the probate process, but some pass through the probate process. Additionally, you will need to check beneficiary designations on life insurance policies and retirement accounts. Perhaps there’s a problem with the designation that would cause it to pass through the probate estate. For these reasons, it is always necessary to at least file the Will with the Probate Court. But, the probate process doesn’t have to be overwhelming. There are steps that can be taken during a person’s lifetime that can minimize or avoid altogether the probate process. 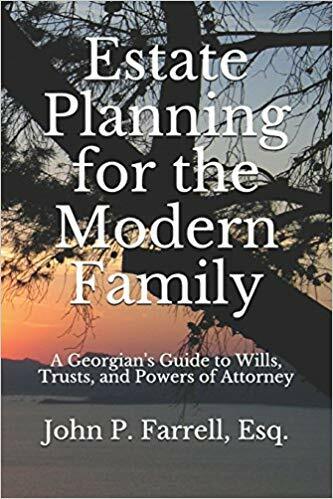 It’s important to work with an estate planning attorney with an excellent working knowledge of the practical effects of the property laws, trust code, and the probate process. If you would like to have your plan set up the right way, the first time, call us at (678) 809-4922.